Gabriel Bernal was named the MVP in the game that snagged John Carroll’s fourth state championship in the past five years. Journal photo by Mark Almond. Gabriel “Gabby” Bernal wanted to be just like her older sister Nicole. Nicole started playing soccer when she was 4, and Gabriel couldn’t wait until she could join in the fun of kicking the ball around. But at the outset, Bernal lacked assurance in her ability, so she really didn’t start playing until she was 6. “That’s when I got my confidence up,” Bernal said. Eventually, both sisters wound up at John Carroll Catholic and were teammates with the Cavaliers for two years. They played together on John Carroll’s 2016 Class 6A state championship when Gabriel Bernal was a freshman and Nicole a junior. Nicole graduated in 2017 after a standout high school career and is now a sophomore soccer player at Birmingham-Southern College. Bernal, a forward, is headed into her senior year at John Carroll after helping the Cavaliers win another Class 6A title in May. She scored 24 goals on the season as John Carroll posted a 21-3-1 record and excelled in the state tourna- ment. Bernal scored two goals in John Carroll’s 4-0 victory against Northview in the semifinals. She scored the Cavaliers’ first goal in their 2-0 victory against Gardendale in the championship game. Bernal was named the MVP in the game that snagged John Carroll’s fourth state championship in the past five years. Bernal credited her teammates for the success she had. The Cavaliers were an extremely close-knit team, and Bernal believes that’s why they were able to win another title. Next week, Bernal will participate in the 22nd annual AHSAA Summer Conference and AHSADCA All-Star Games competition in Montgomery. 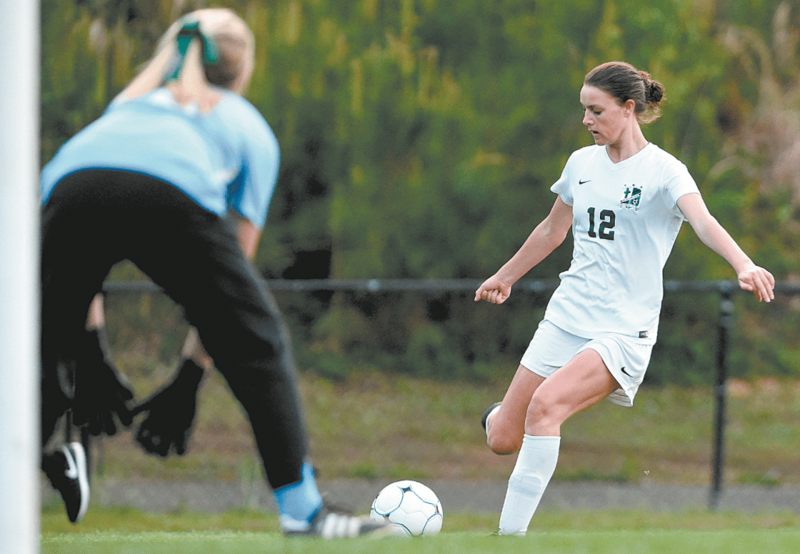 She will play for the North in the North- South girls soccer game at 5 p.m. July 17 at Emory Folmar Soccer Complex. Bernal also plays club soccer for the Birmingham United Soccer Association, which is a member of the Elite Clubs National League, the highest level of youth soccer for girls in the USA. Nicole also played for BUSA before going to college. Bernal also plans to play at the college level, but she has yet to decide where.